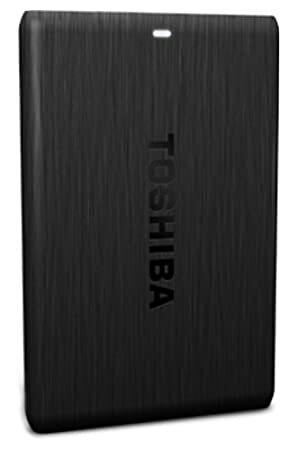 Toshiba Canvio Portable Hard Drive comes with a textured finish to provide a stylish edge. Weighing just 170 g, this portable storage device can be easily carried along wherever you go. It is designed with just 13.6 mm thickness so that it will fit in almost any handbag. The stylish look and intense black color of this external portable storage device will instantly capture your attention. Thanks to its ergonomic design, you can carry it to places without any hassle. Perfect for professionals who are always on the move, this one will surely impress you with its performance.